Juventus boosted their record to 24 wins and three draws for a total of 75 points, making the side a virtual lock to win an eighth consecutive Serie A title. Juventus cruised to a 4-1 victory over Udinese in a warm-up for the Bianconeri’s decisive Champions League clash next week with Atletico Madrid. Juve, who lead Serie A by 19 points over Napoli, had little to fear from 15th-place Udinese and coach Massimiliano Allegri felt confident enough to leave Cristiano Ronaldo, Mario Mandzukic and defensive anchor Giorgio Chiellini on the bench on Friday night, reports Efe news. Two other starters, Miralem Pjanic and Joao Cancelo, missed the game due to suspension, but will be available for the Champions round-of-16 second leg in Turin against Atletico, who prevailed 2-0 at home in the first leg. 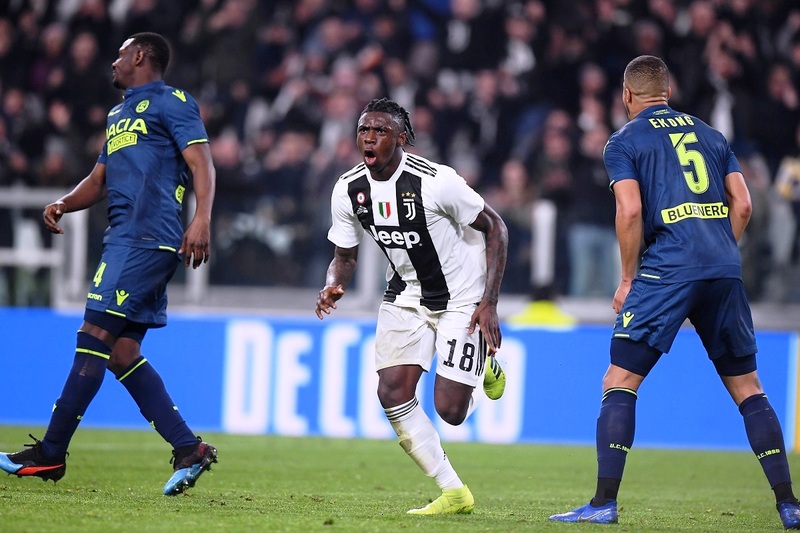 In the absence of Juve’s big guns, 19-year-old Moise Kean notched a brace for the hosts and drew a penalty to set up a third goal. Paired with Federico Bernardeschi up front, Kean opened the scoring in the 11th minute with his first Serie A goal, getting an assist from Alex Sandro. The youngster’s second goal came on a brilliant individual effort in the 39th minute, when he cut off a ball from Udinese’s Seko Fofana in midfield, raced 30 yards and caught the visiting goalkeeper off guard to make it 2-0 for Juve. Kean forced a penalty in the 67th minute and Emre Can converted to increase Juve’s lead to 3-0. Blaise Matuidi made it 4-0 in the 71st, heading in a cross from Rodrigo Bentancur. Udinese’s Kevin Lasagna scored a consolation goal for the visitors in the 85th minute.